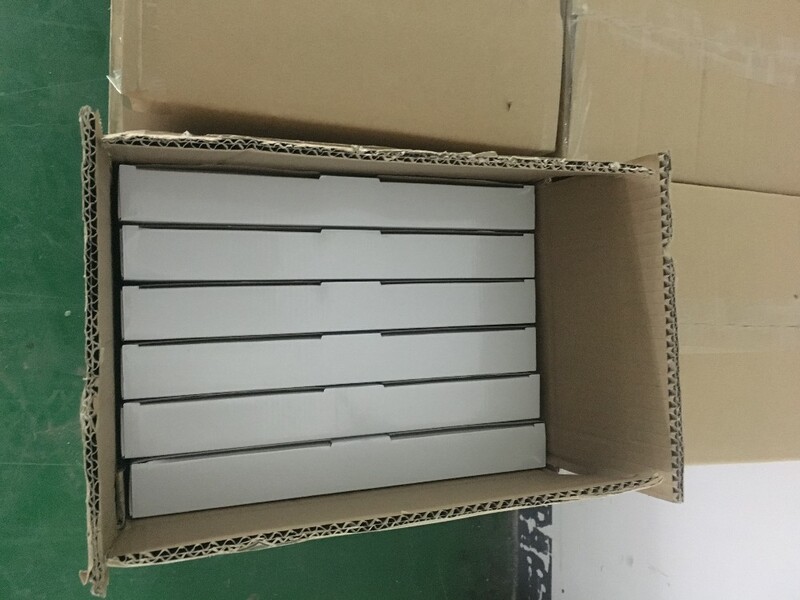 Battery, Manual, PE bag, Color Box, Carton. 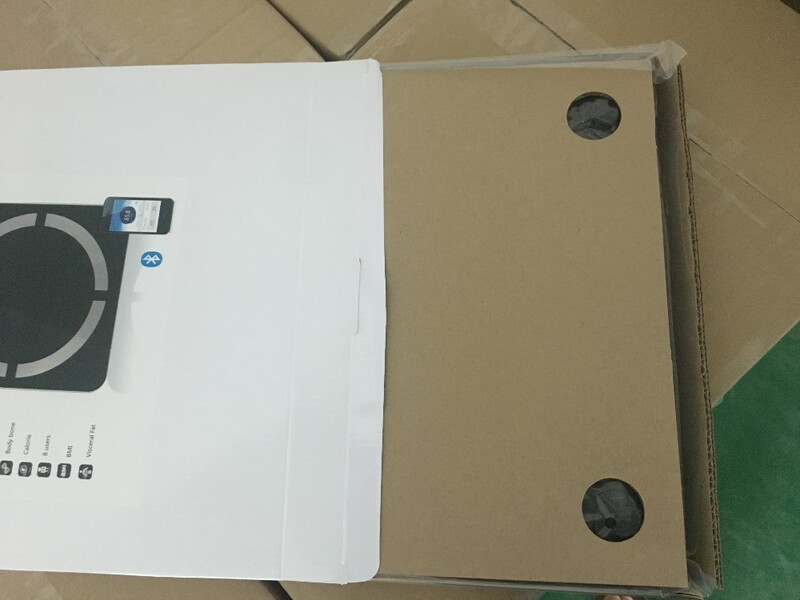 Samples delivered by express. 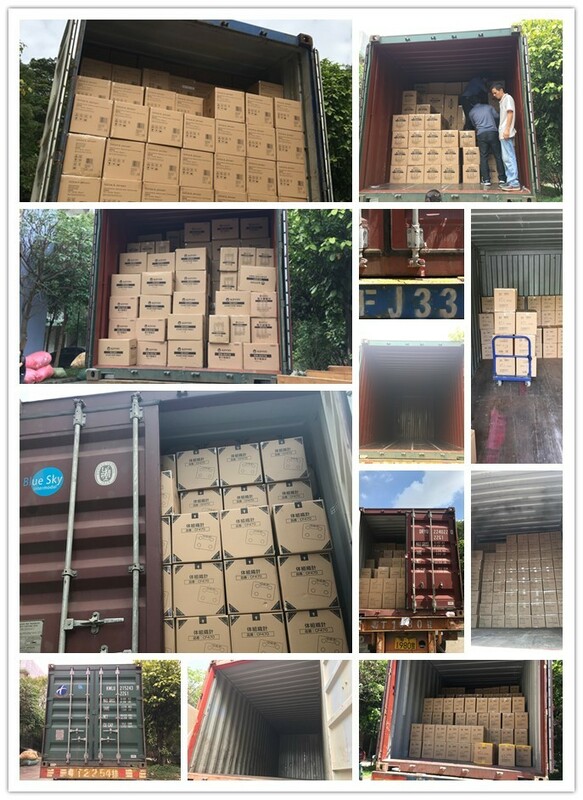 Goods delivered by Air or Sea. 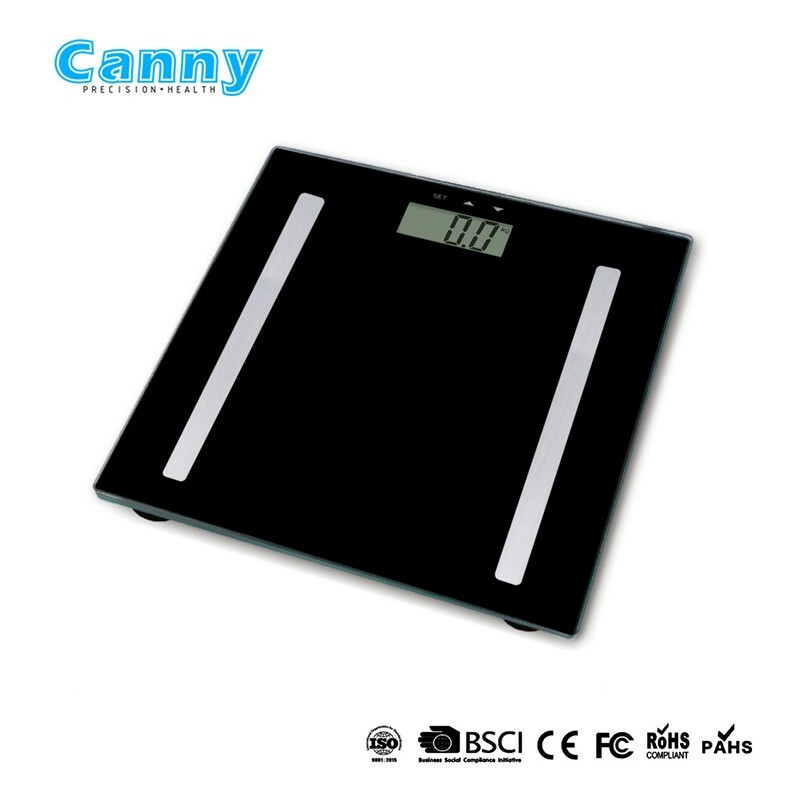 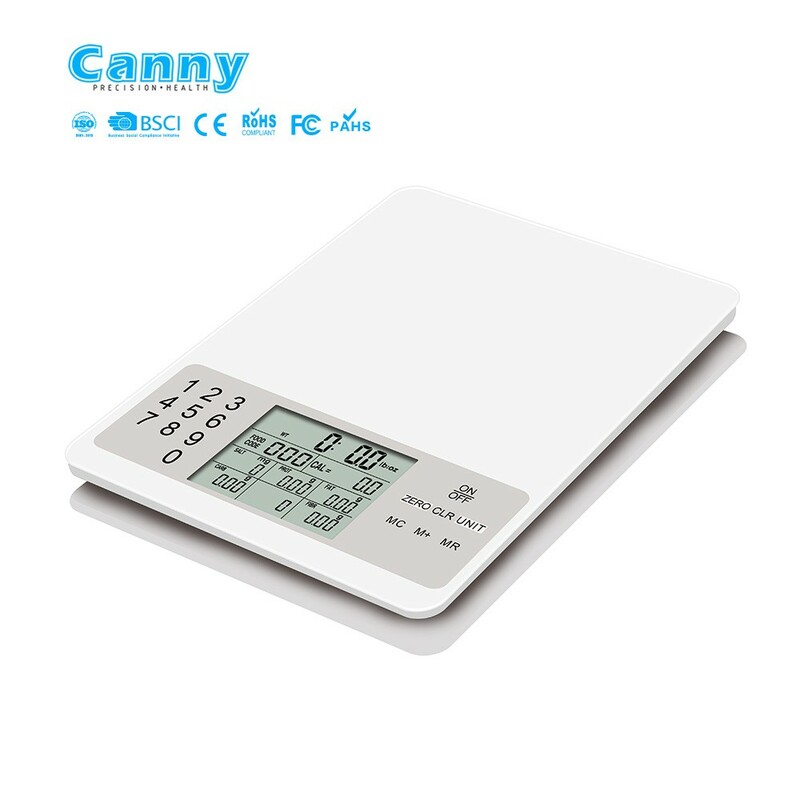 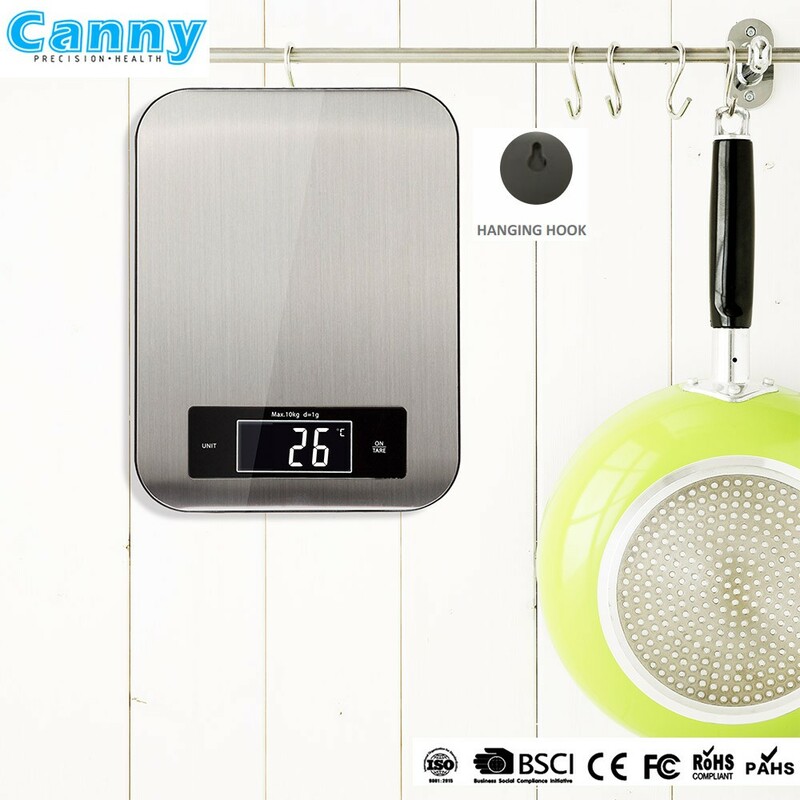 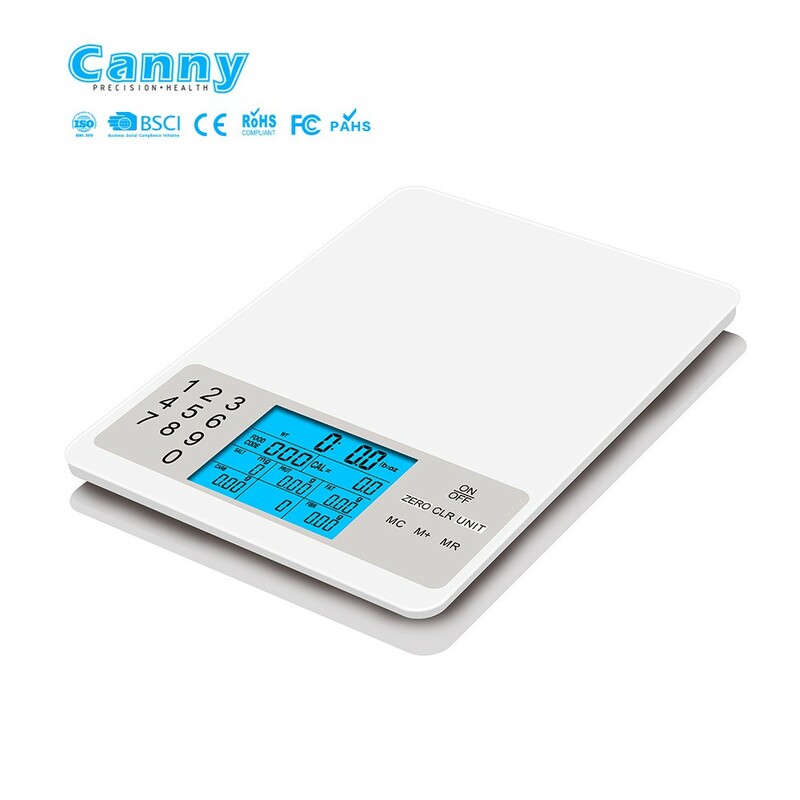 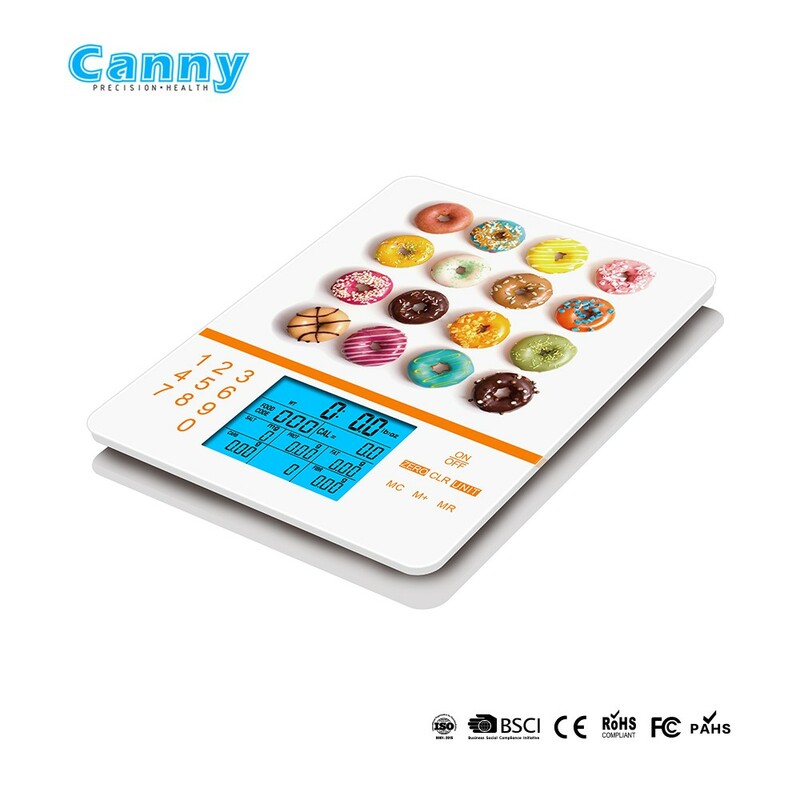 Canny Industry Ltd., a Pro OEM of house digital scale which founded in 2010. 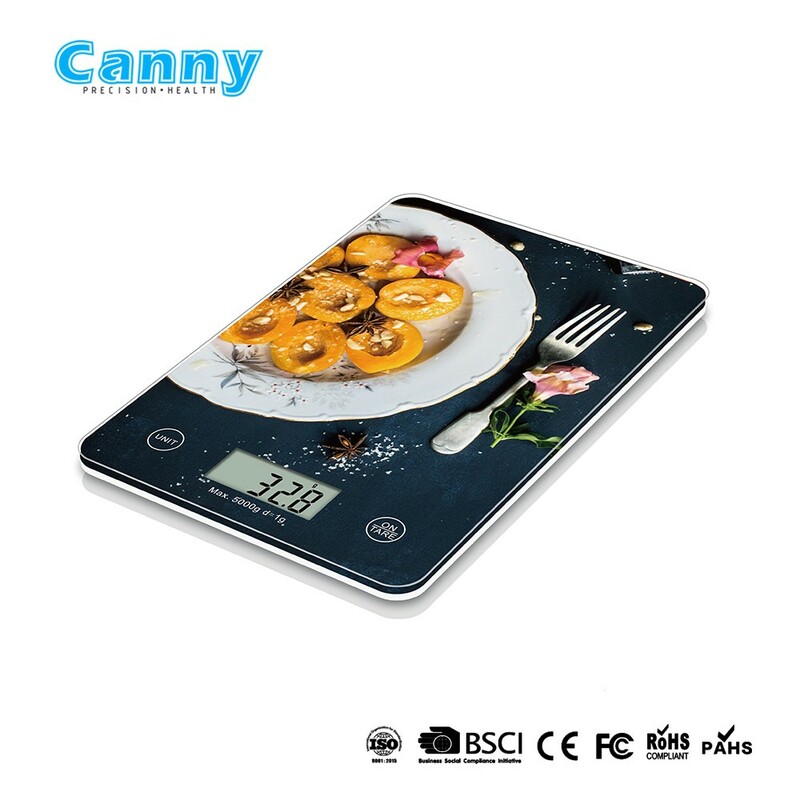 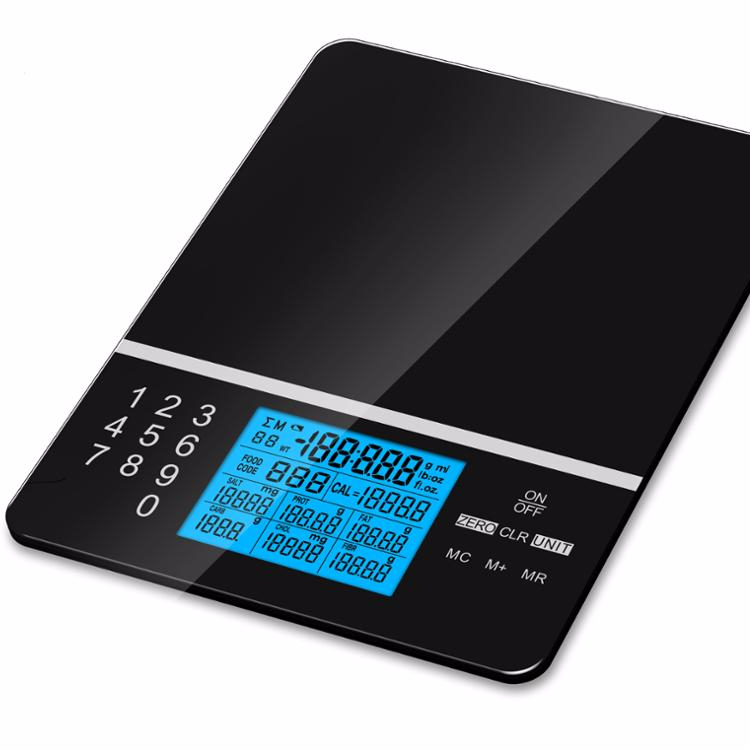 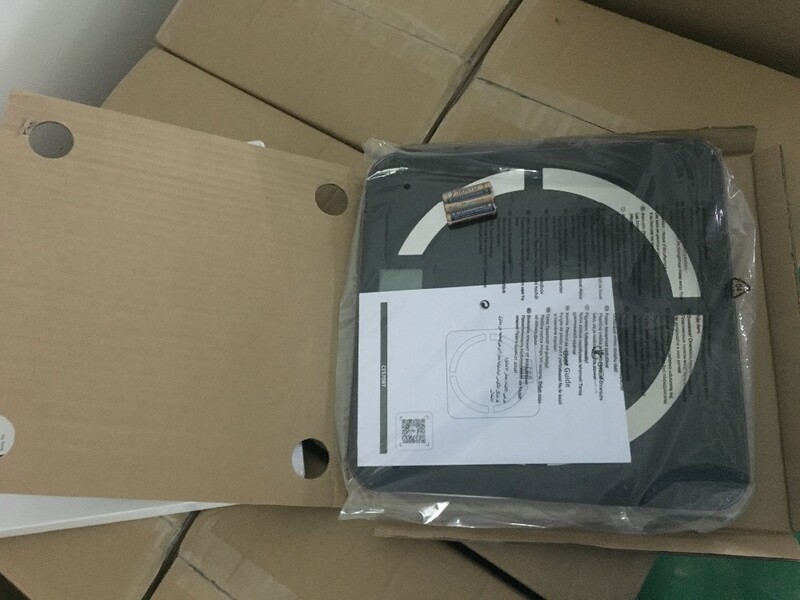 Supplier for household electronic scales: smart scale, body weight scale, body fat scale, kitchen scale, luggage scale. 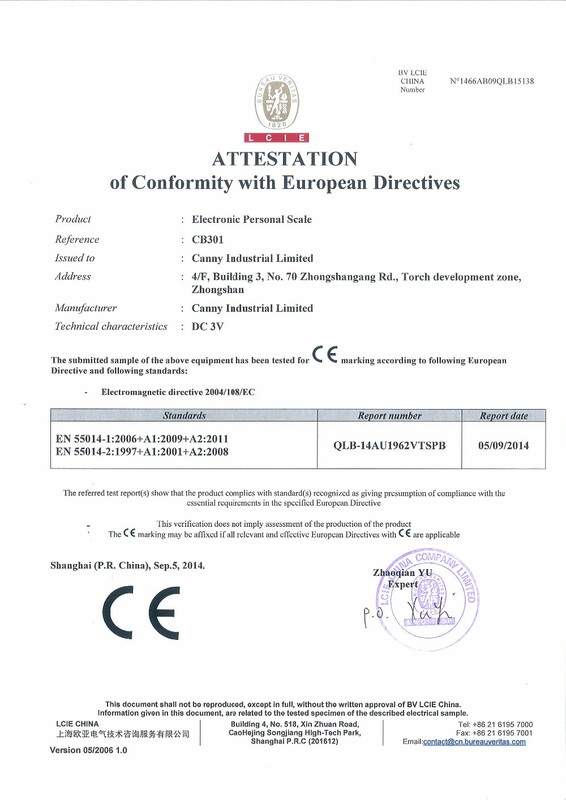 We are certified by ISO9001:2015, BSCI audit by SGS, our main customers are Vitek, Beurer, Inventum, ADE, COBY....... 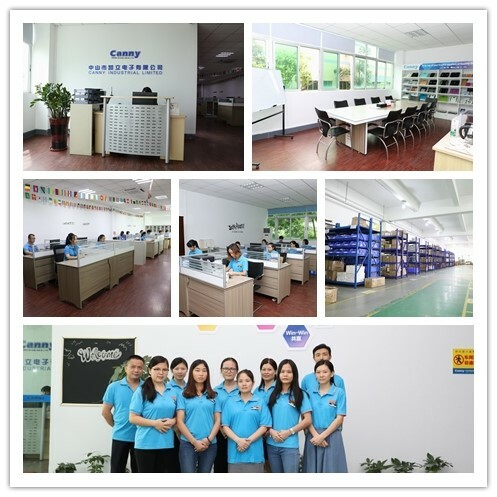 Canny is one of the high grade suppliers for these clients. 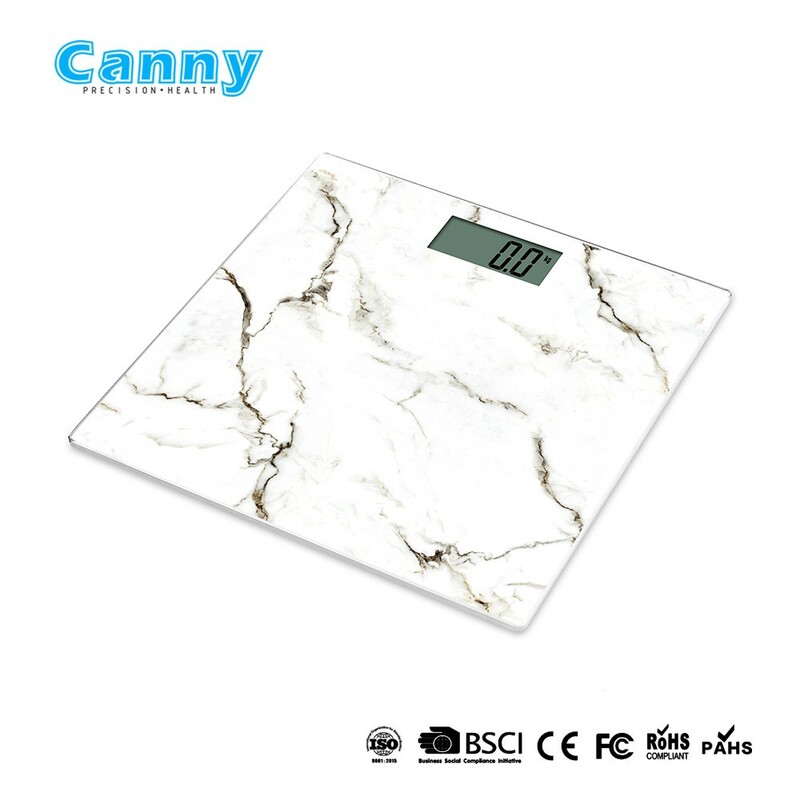 We have more than 20 R&D staffs that with more than 10 years experiences in weighing scale area. 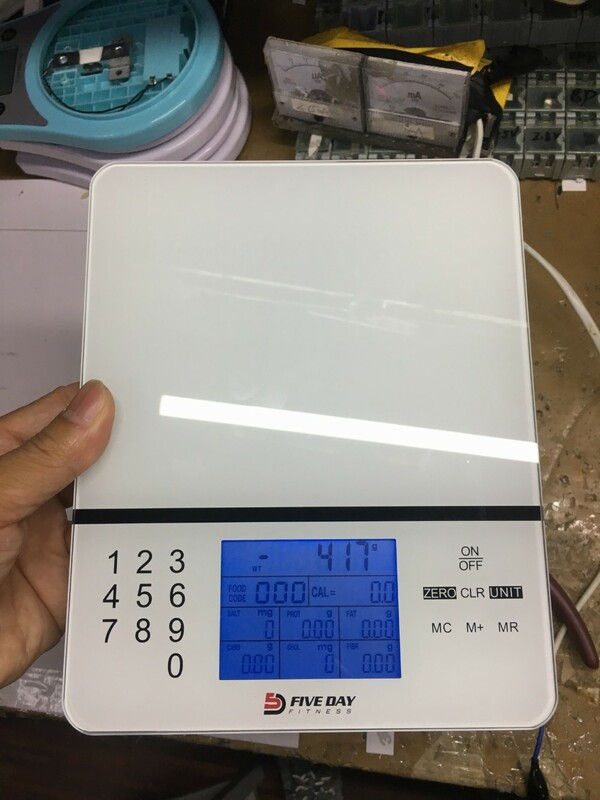 Canny QA includes IQC, IPQC, OQC, internal AQL is very strict like 0/0.65/1.5, which promise every scale to our clients is working well. 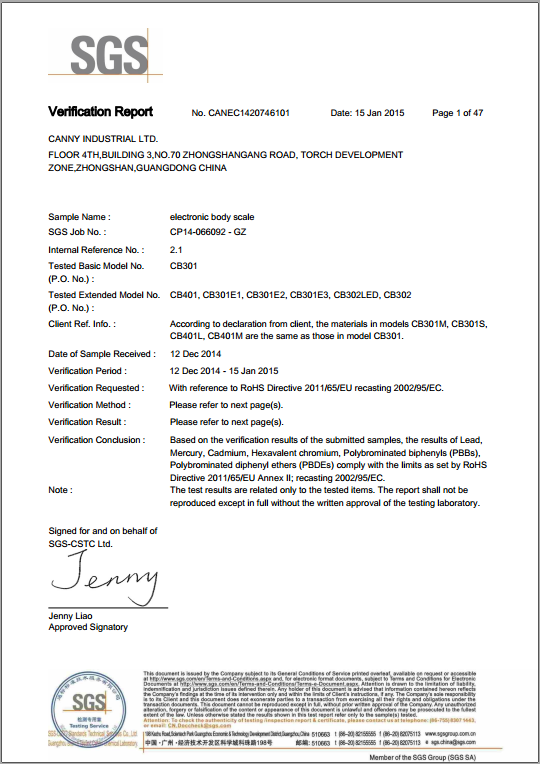 We were audited by Beurer, ADEXI and pass. 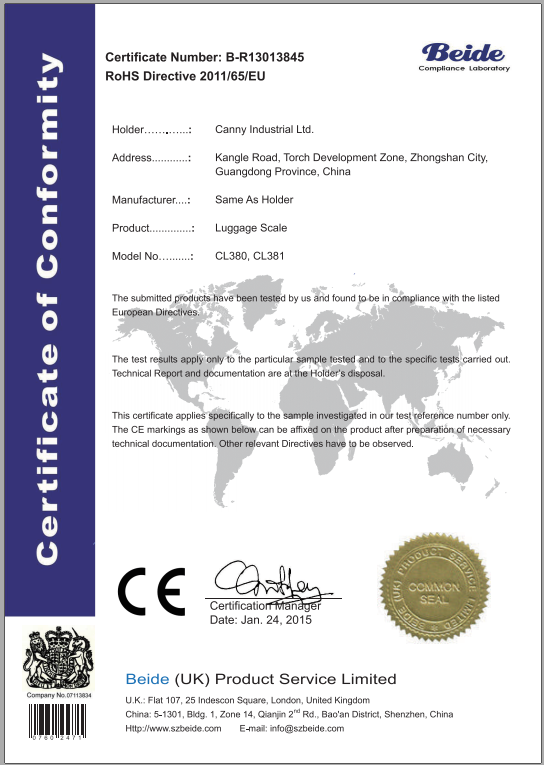 Our products supply you 2 years warranty. 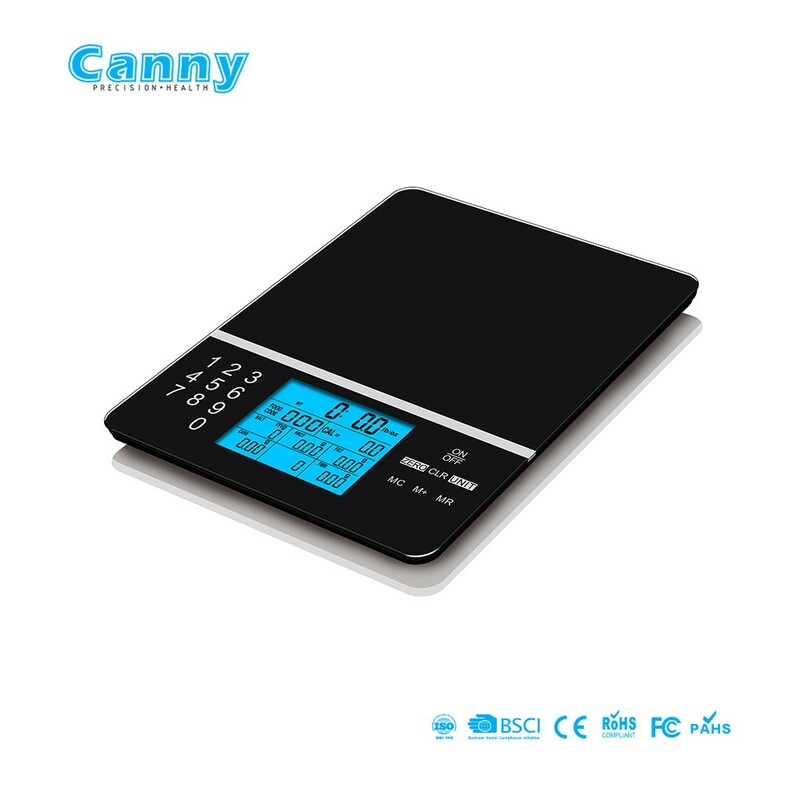 Canny with own software and electronic advantage, keeps upgrading scale accuracy and stability with random checking every lot PCB and IC. 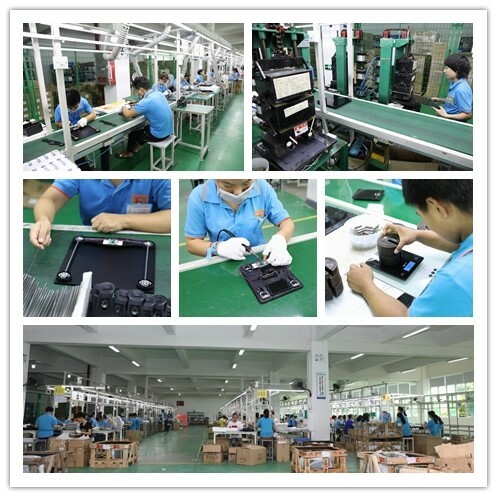 OEM & ODM service available. 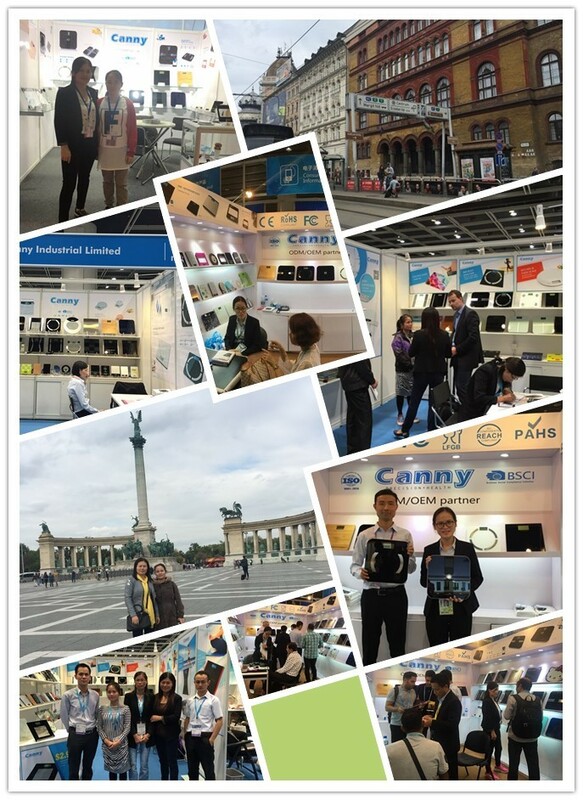 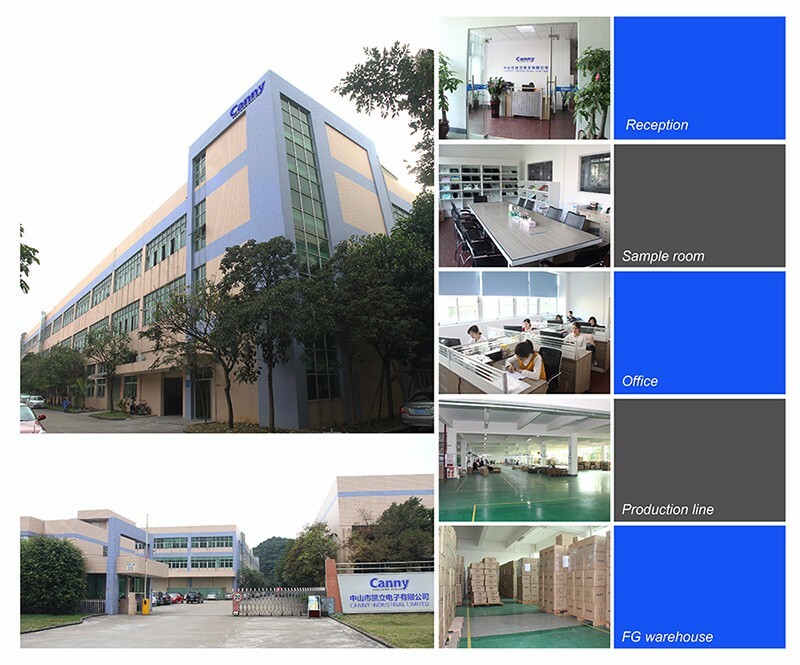 Zhongshan Canny Electronics Co., Ltd.